Paolo Damiani was born in Rome, Italy, where he lives and works. After having worked in the commercial world of Art, he decided to leave it and he begun to devote his Art to painting. His first abstract works were clearly refering to the world of Italian Art like Alberto Burri, Mario Schifano, passing through Cy Tombly - born in the States but "adopted by Italy". Later on, his painting will become less abstract, getting to the figurative techinique with a focus on the artistic currents of the northern part of Europe, especially the British and German painting. 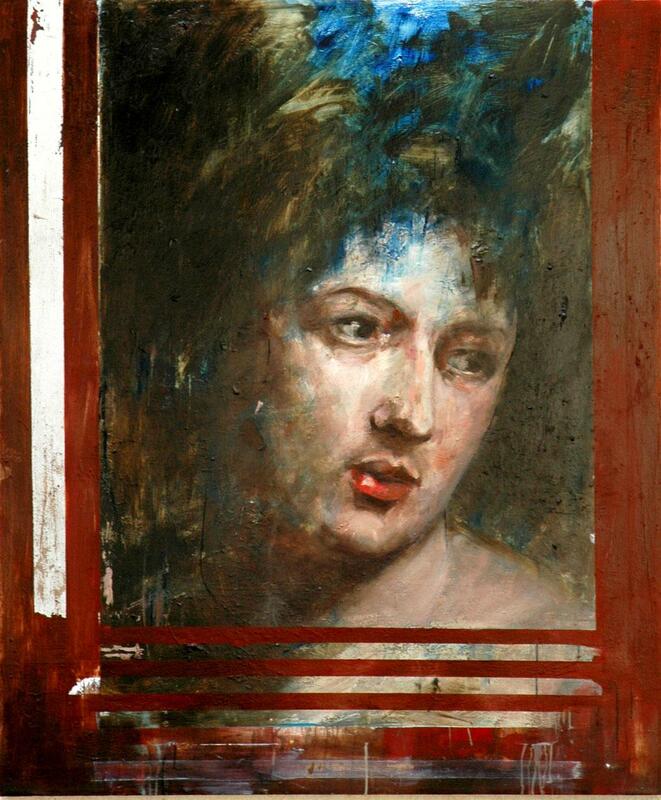 Damiani's painting is divided into cycles he likes to call "Series": Portraits, Artifacts, Interiors; Reworks etc. Painting always keeps a balance between Classicism and Modern in Damiani's Art. A classical nature that the painter never wants to break away to find his artistic origins. The subject of his painting is used as a strategy to bring out the technique that goes from oil to tempera and acrylic . Through different material as collage, wax, wood and sand, Damiani's painting loves to express many themes and subjects. That what people see looking at his Art. For Damiani the Idea is an opportunity to be able to express his own Art through colours and materials.